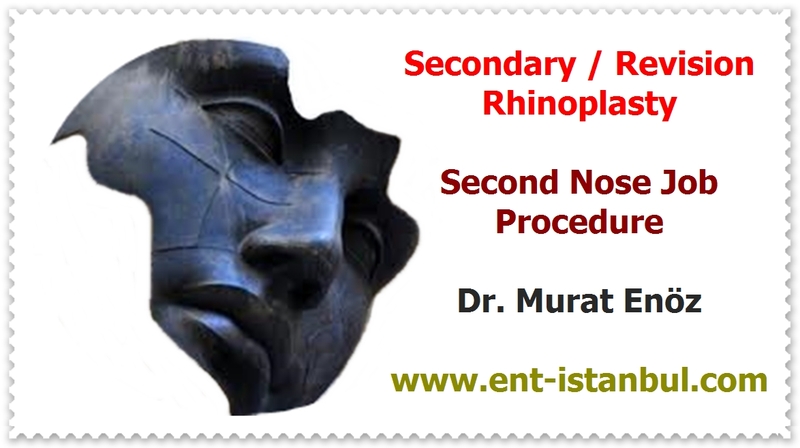 Nose hump rasping is a common nasal aesthetic application. When there is a lot of belts in the side, the front part of the nasal bone can be completely opened as the amount of the crushed is increased. In this case called "Open Roof Deformity", when looking from the front, the tips of the sharp nasal bone can be recognized when the nose is flattened and spreading to the face, the skin areas lying in the nose or side view. To prevent the open roof deformity, the roof is re-closed in patients with excessive nasal bracing by applying the osteotomy to the nasal bone at the locations shown by the striped areas on the left side of the photograph above. In the above photograph, there is a photograph of a patient with open roof deformity and apparent asymmetry at the tip of the nose after surgery in another hospital. In the distance between the eyes of the patient, the part between the two walls of the nasal bone shows an oblique and flat appearance, the fronts of which are noticeable from the front. The tip of the nose seems to be on a line near the right eyebrow instead of the midline. 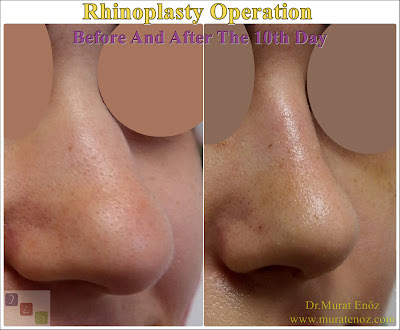 Nose belt rasping can also be done during nasal aesthetic and nasal lift operations.